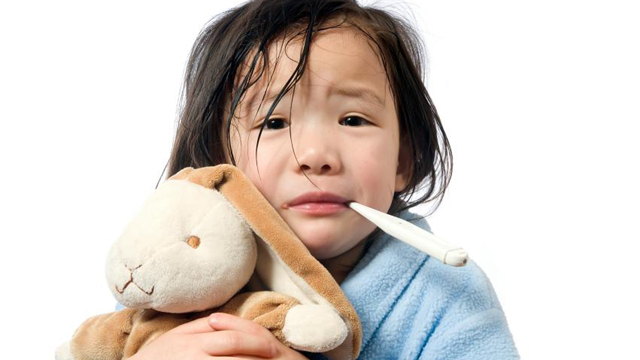 Small babies and children often suffer from high fever. As a parent you might have to deal with a situation like this every alternate month. The first point is that fever is normal. There is nothing to get scared. The second and the most important part is that don’t feel that the fever will go. Please visit a doctor as soon as your child gets a fever. Many parents try to do their own medication which can be a big risk. Now that you know these two essential points let’s move to the things that you should so while taking care of your baby in fever. If your child gets a fever please visit the doctor immediately. Inform them when the child got the fever and if there are any other symptoms that you could see along with the fever. If it means that you have to take leave from work please do that. Both the parents can take leave on alternate days in order to ensure that they are around with the child. Take the child to a paediatric and not to a general physician. The doctor will give you the medicines. You must buy them from the store and follow the dosage given strictly. Don’t feel that giving two tablets instead of one will help the fever. Do follow the instructions that the doctor has given you. You must keep checking the temperature every one hour. The same must be noted down in a notebook so that you can report the same to the doctor. Keep this observation for at least twenty four hours. If the fever is still not going down or increasing you must take the child back to the doctor. Another common mistake that the parents do is that they wrap the child in a blanket during fever. If the child is feeling cold then putting a blanket makes sense. If the child is feeling hot and is sweating then putting a blanket can only increase the fever. Please don’t wrap the child in a blanket unless required. You can put the fan slightly if the child is feeling very hot. If the doctor has told you that you must put a wet cloth on the forehead of the child then do so. This is advised when the fever is very high and can damage the brain. Don’t do I t unless you are advised to do so. If required you can even ask the doctor clearly about it. A small cotton cloth is used for this purpose. This helps the child to feel better. The parents feel that giving a shower or a head bath may make the child feel better. This again is completely as per the advice of the doctor. Head bath is advised to ensure that the fever does not reach the brain. It might not be possible to give bath to a baby with fever. You can sponge the body. This will make the baby feel fresh and also relax them. You can put powder onto the body. This is because in times of fever the children sweat a lot. Regular changing of clothes and sprinkling powder can make them feel fresh. The children especially the very small ones cannot say if they have any other problem like a earache, a stomach ache, etc. This is exactly why taking them to the doctor becomes more important. You have to be very patient with the very small babies. A single mistake on your part can be a big problem. As the child grows they can be very annoying especially when they have fever. There is no point scolding them. You have to be patient and listen to them. Try to answer all the questions that they ask you about the fever. This is very important. The children will not eat anything when they have a fever. They will be very choosy. This is because they are not well and they are not able to understand what is wrong with them. Try to give liquid diet. This is easy to feed. You can make soup. You can make porridge and even a very light khichdi. Don’t give anything spicy. A lot of juices and water is a good idea to feed the sick children. The more water you give them the faster they may recover. You can give coconut water, Glucon D, etc. You can breast feed the child when they have fever. This depends again on if they are taking the feed. You have to feed them regularly in small amount as this will help the medicines to work faster. If the child is not eating he or she may become weaker. You can ask the doctor what you should feed the child. Children when they have fever may become very quite. They will prefer to sleep whole day. You should allow them to rest. Ensure that they are not disturbed a lot. If they want you can let them see the television for a very short while. You can tell them stories. Sing songs this will keep them entertained. Don’t leave the child alone anytime. You must ensure that someone or the other is around. Ensure that you sleep with the child even at night. These are some simple steps in taking care of your baby in fever. These must be followed by all parents of children who are below ten. These tips will help the child recover fast. As a parent it will help you to deal with the situation even better. These are simple points but if you miss out on any of these the fever may continue and take a wrong direction.